Today’s article is on Edward Brignall, born in England on January 11, 1898; you will learn how to obtain information on him. The first step is to search by entering the surname Brignall in our main online resource on home children. You will notice that no results are displayed; this could be explained by the fact that in those days many surnames were transcribed phonetically. The next step is to use the wildcard character *. We suggest that you enter Brign* in the surname field. charitable organization. Edward was part of a group of 109 girls and 219 boys. This information agrees with what we know. 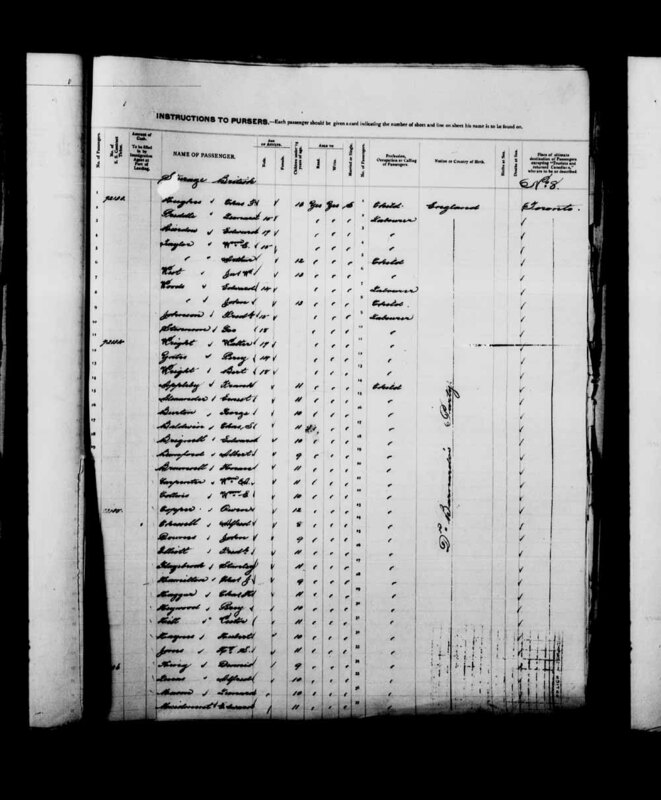 The passenger lists from 1865 to 1922 have been digitized and you may consult them using our database Passenger Lists, 1865–1922. You may even examine a digitized image of the SS Dominion passenger list. Further information on Edward’s family background may be obtained by contacting the organization Barnardo’s Family History Service. where he lived (i.e., 75 Bennerman Avenue, Winnipeg, Manitoba), and learn that his next of kin, his sister, Alice Brignall, resided in Leeds, England. By consulting his record, we learn that Edward died before leaving for Europe. Also available online are the death cards of First World War veterans; Edward’s shows that he died of pneumonia on January 23, 1917, at the Winnipeg General Hospital just a few months after he enlisted. we learn that Edward was the son of Edward and Dorothy Lever Brignall, of Leeds, England, and that he was buried at the Brookside Cemetery in Winnipeg, Manitoba. Finally, remember to consult the first part of this series, entitled Home Children—Introduction. This entry was posted in Genealogy & Family History, Immigration and tagged Barnardo, citizenship, Family History, First World War, Genealogy, Great Britain, home children, Immigration by Library and Archives Canada Blog. Bookmark the permalink. We’re very glad you were able to obtain more information about your Canadian connections from the blog article. We are hoping to release more postings about Home Children soon. Don’t forget to check our other genealogy resources on our website.